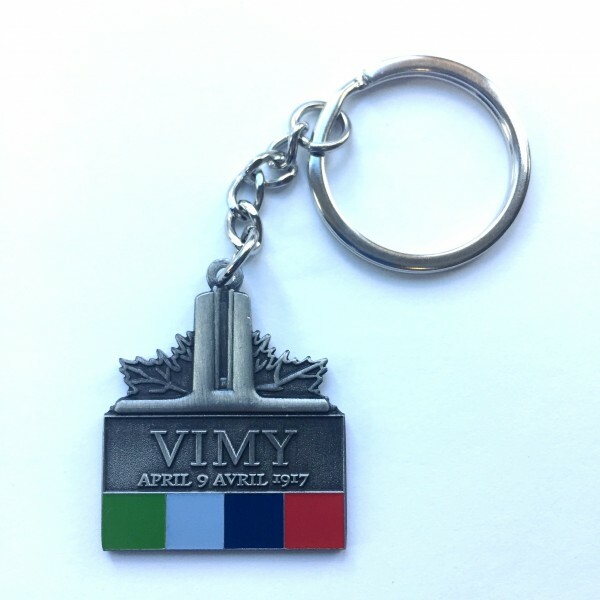 Based on our popular Vimy lapel pin, the Vimy keychain is just another way you can help remember Canada’s outstanding victory on April 9, 1917. 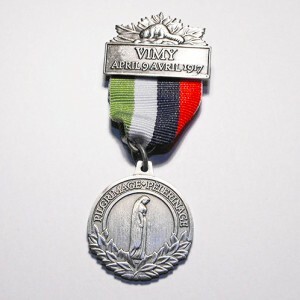 Attach to your keys, purse or backpack and help spread greater awareness about Canada’s First World War legacy. 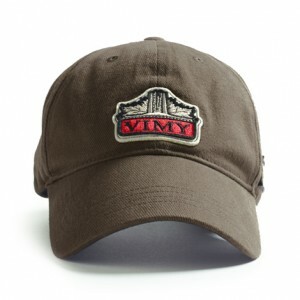 The keychain features an elongated Canadian maple leaf, which has been used as a Canadian symbol since the early 1700s. Within the maple left are the iconic two towers of the magnificent Vimy Memorial designed by Walter S. Allward, built between 1925 and 1936 by the Canadian Government on land given to the nation by France to honour Canada’s First World War sacrifice of 60,000 dead. The two towers represent Canada and France bound together by sacrifice. 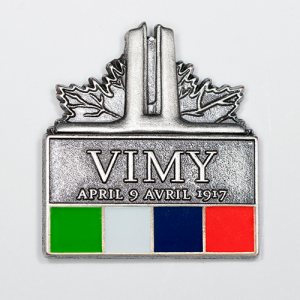 The four coloured boxes represent the four Canadian divisions which fought together for the first time on April 9, 1917 at the Battle of Vimy Ridge. The red represents the First Division, the dark blue the Second Division, the grey-blue the Third Division, and the green the Fourth Division. 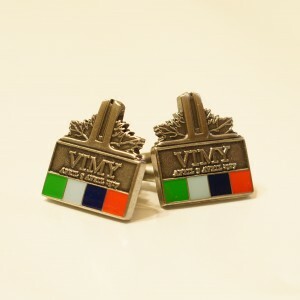 The order of the ribbon’s colours (left to right) reflects the positioning of the four Canadian Divisions facing the German defences on the day of the battle.